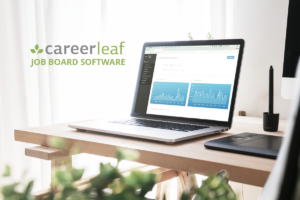 A Careerleaf job board lets you create multiple revenue streams while providing the tools you need to market, promote, and grow your job board into a profitable business. You’re looking to make your mark upon the world and make a difference in the lives of job seekers and employers by starting a modern and mobile-friendly job board. It’s a competitive market out there and you need the right solution to start up your job board and grow it into a profitable business. I want to start a job board, but I’m on a tight budget. Can I afford Careerleaf? Careerleaf structures its pricing as a one-time set-up fee and a monthly subscription that is tied to the features and data you use, so you can start small and still have room to grow. Ask yourself these questions to see if you’re ready to start your job board! With a Careerleaf-powered job board, you have the advantage of SEO-friendly URL structures, access to SEO optimizing tools, and the ability to create and optimize and distribute content that helps candidates and employers discover your board. How can I compete with bigger competitors like aggregators and professional networks? Your job board can stand out from the crowd and stay competitive by focusing on your target market, with help from Careerleaf’s award-winning user experience, job distribution, social media integrations, and marketing automation tools. Industry-leading configuration options help niche and regional boards customize to better serve their target audience. How do I make money with a Careerleaf-powered job board? With Careerleaf, you have the ability to monetize through job posts, featured job posts, featured employers, access to candidate database, pay-per-click job backfills, and display advertising. You can also get creative and offer packages that include service add-ons, like job post writing, recruiting services, or referral agreements with other companies that offer services to job seekers and employers. Read more ideas here. If you’re ready to start your job board, get in touch with us. You can request more information, access a demo, or have us call you for a quick chat.